This is an exciting time to join SAMH, with a growing brand and a new and exciting organisation strategy to reach more people of all ages who experience mental health problems. After several years of successful fundraising, we are once again making a strategic investment in our core team to make that vision a reality. 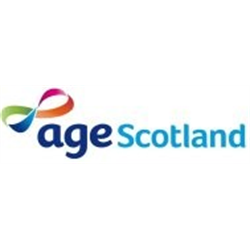 The Head of Income Generation – High Value Fundraising is a newly created post to lead the fundraising team and support the Director of External Affairs. We have a new fundraising strategy in place which will guide us over the next few years in our ambition to significantly grow voluntary income. The role will lead and strategically develop all areas of voluntary income with particular emphasis on growing high value fundraising. Our major gifts programme is in the early stages of development with great potential to grow and has full organisational support. This role will offer fundraising leadership, direction and expertise to galvanise the huge potential of our supporters and enable the ground breaking work which will save and transform lives. Closing date for all applications is 5pm on Thursday 18 April 2019. Applications are welcome from people who have experienced mental health difficulties. PVG Scheme Membership, a Right to Work in the UK check and proof of qualifications declared on the application form are required for these posts. Application forms, job descriptions and guidelines are available to download from our website samh.org.uk. Please note that your application should be completed electronically and emailed back to jobs@samh.org.uk, no other form of application will be accepted. We are seeking a Communications Officer to play a key role in raising the profile of resolve, Health in Mind’s paid for counselling service. Do you have experience of providing written information in an engaging and accessible way? Are you a good communicator, resilient and able to use your initiative? Are you experienced in writing and implementing marketing plans and developing partnerships? If so, we’d love to hear from you. We are also currently looking for a Communications Officer as part of a new service we are developing. The role is four days per week and we will accept applications to both Communications Officer roles to make a full-time position. You can find information about our other role on our website. 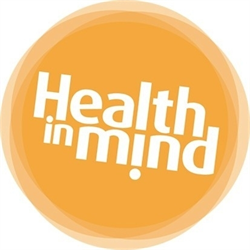 An application pack is available on our website health-in-mind.org.uk. We are seeking a Communications Officer who will play a key role in the success of the development and implementation of a new Outreach and Support Project in Scotland for the Society of Jesus (Jesuits in Britain). Are you a good communicator who is able to engage thoughtfully and sensitively with people? Are you experienced in writing and implementing marketing plans and developing partnerships? If so, we’d love to hear from you.